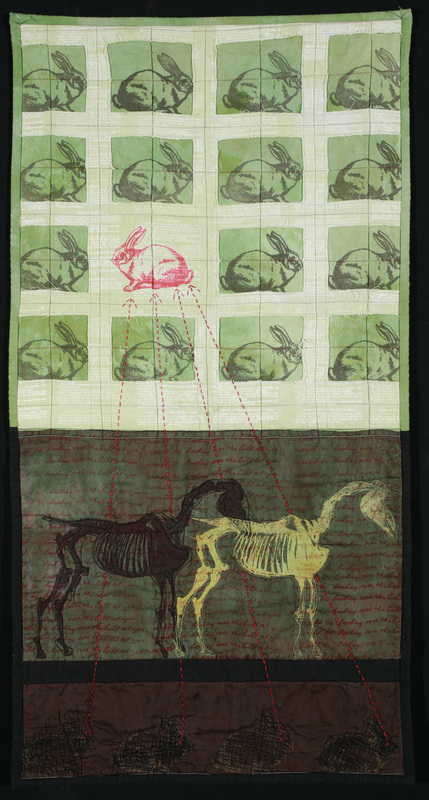 I started making these narrative quilts while in graduate school at the University of Kansas in 2005 and the series continued through 2010. 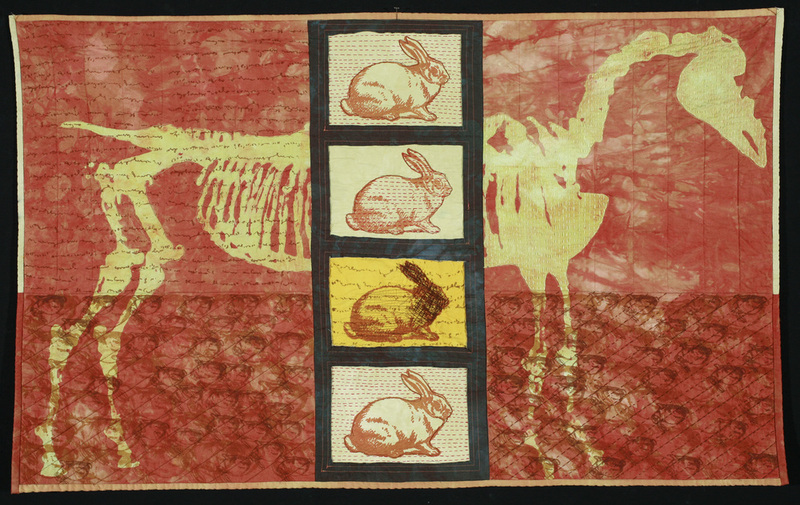 They are autobiographical, using the rabbit and the tooth as a stand in for myself. 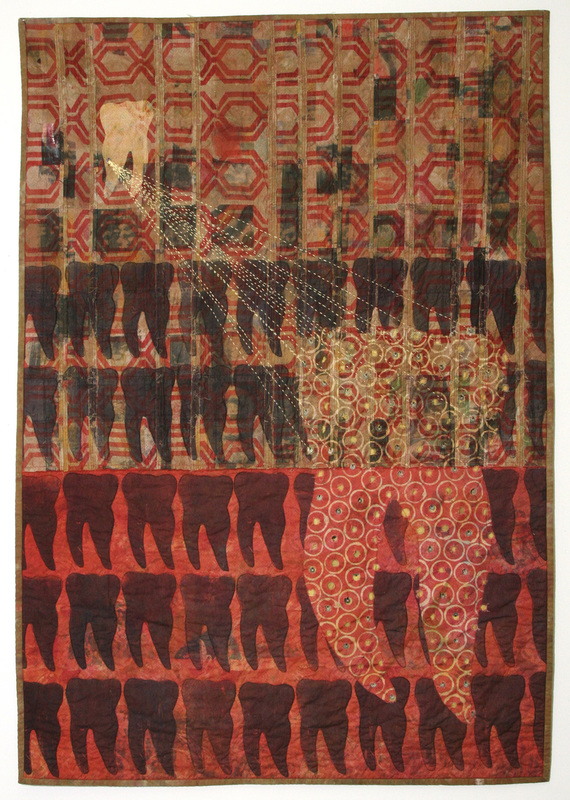 Each quilt attempts to deal with a family story, attitude, or perception. 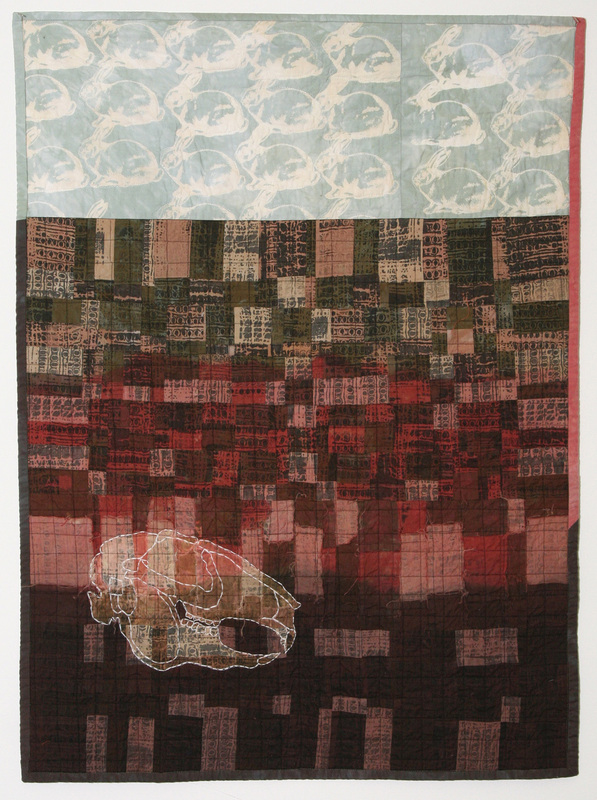 All of these quilts are heavily worked, starting with all hand dyed and screen printed fabric. Most have multiple layers of cloth sewn together and cut through, as in reverse applique. Many have sheer overlays of fabric and intense machine and hand embroidery.